"You support Gay Rights so you must be gay." 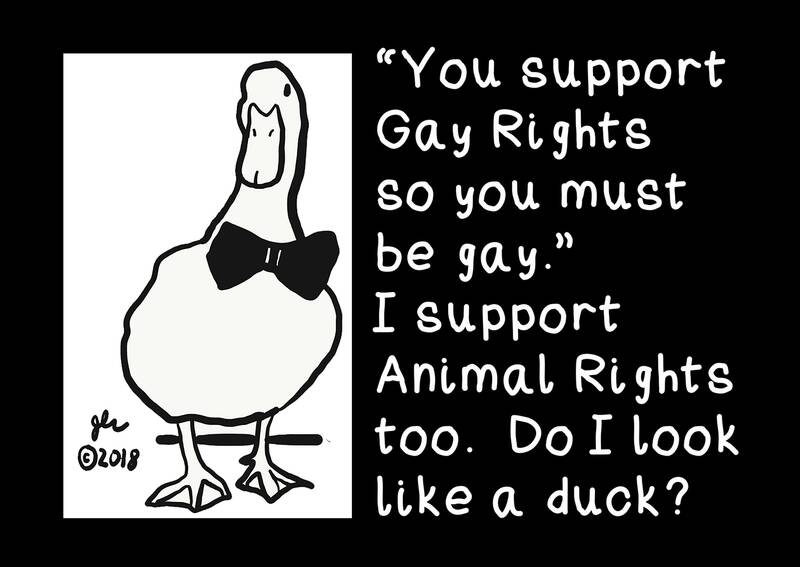 I support Animal Rights too. Do I look like a duck?" 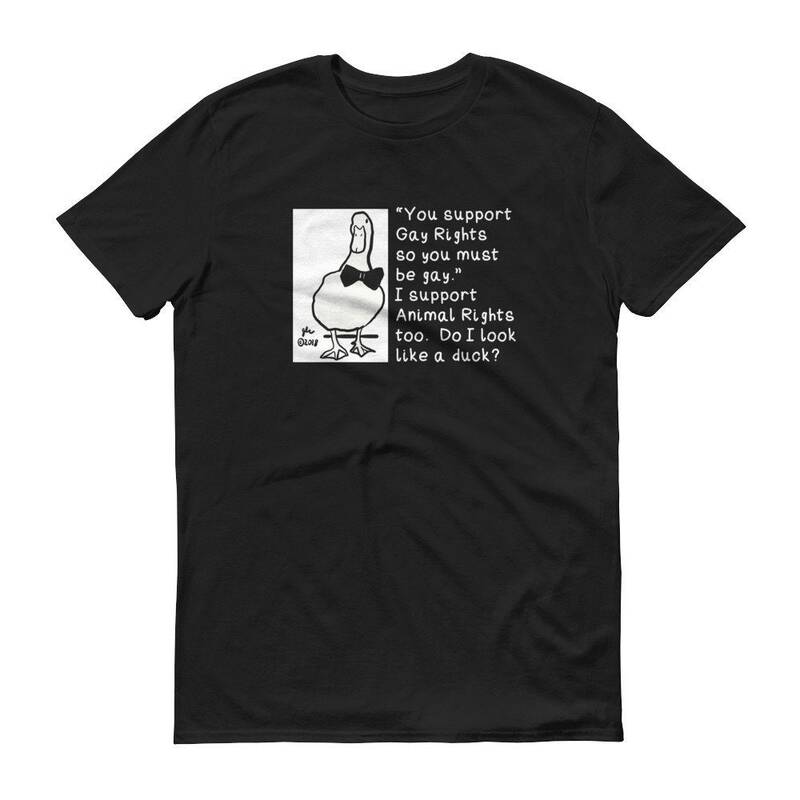 Perfect shirt to advocate for human and animal rights.